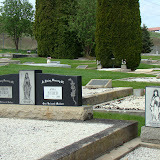 I have been traveling in British Columbia and I visited some cemeteries in Kelowna BC. 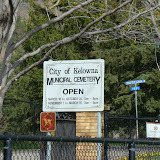 It is not all of the cemeteries in the Okanogan Valley but some rather important ones. 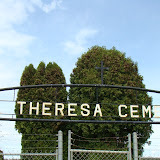 Here is a link to the post I wrote about my visit to these cemeteries at my blog: The Boardmans and Browns of Winnipeg http://boardmanbrown.wordpress.com/2012/05/05/a-tour-of-kelowna-cemeteries/ If you want to explore the blog further just click on the title. It should take you to the main blog home page. 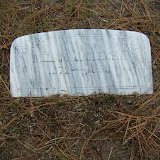 They have what they call "dry land" cemeteries and they are very interesting. 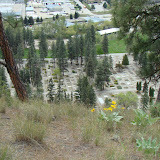 Below is a view of the Pioneer Cemetery in Kelowna which is part of the Kelowna Municipal Cemetery. The first part of my travels is completed and I will be on the go again in several weeks. This time it is to Ontario and Quebec and yes lots of cemeteries to explore. Update 8/7/2012 More photos from the cemeteries I visited in and near Kelowna, BC.